It took 14 years, but Hector Barajas is finally a United States citizen. SAN DIEGO (CNS) - It took 14 years, but Hector Barajas is finally a United States citizen. 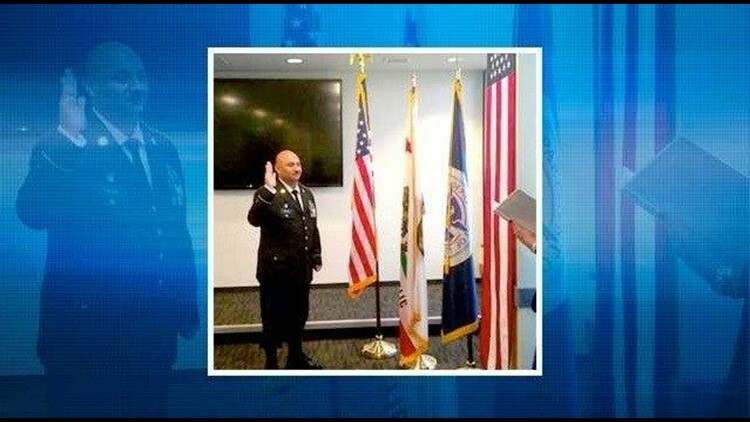 The Army veteran took the citizenship oath, surrounded by loved ones, in a private naturalization ceremony at the San Diego offices of U.S. Citizenship and Immigration Services. The ceremony was a long-held dream of Barajas, who was born in Mexico, grew up in Compton and spent six years in the Army before eventually being deported in 2004 and again in 2010. Barajas had difficulty adjusting to civilian life after being honorably discharged from the Army in 2001. He had substance abuse problems, and in 2002 pleaded no contest to shooting at an occupied vehicle. He was deported for the first time after serving his sentence. Speaking to an audience outside the USCIS office after becoming a citizen, Barajas lamented the mistakes he had made and the effects they had on his family, but thanked the community for supporting his return to the U.S.
"The citizenship only validates what I always thought in my heart: I'm an all-American patriot and I proudly served my adopted country as a paratrooper in the 82nd Airborne. I believe I am no less of an American because of the mistakes I've made," he said. A pardon last year by Gov. Jerry Brown paved the way for Barajas' naturalization. Brown also pardoned two other veterans who, like Barjas, had been deported. "He showed that California has upheld its values and is supportive of immigrants like me," Barajas said. Since 2013, Barajas has run the Deported Veterans Support House in Tijuana, which provides deported veterans food, clothing, shelter and resources as they seek self-sufficiency. Barajas plans to run the center for another year before returning to his family. In the U.S. he would like to find a job, put his daughter through college and possibly attend school. Barajas noted, however, there's still work to be done for the immigrant veteran community. "My biggest dream is to see all my brothers and sisters go home to the country they were willing to die for," he said. "We must continue to fight to bring home our deported veterans.... Border or not, we will always be U.S. veterans; we are all Americans and I'm standing here today as an American citizen."